In general, it takes about 30 seconds for a Mac machine to fully start up, depending on the hardware configuration though. For example, Macs with flash storage (solid state drive) load much faster than those with HDDs (hard disk drive). Years back, ZolloTech did a comparison test on the startup time between an SSD-based MacBook Pro and a HDD-based one. The result? The MacBook with SSD only took 22 seconds to fully start up while the other was 49 seconds. So, it’s pretty clear that a MacBook with an SSD is a lot faster than a traditional HDD. We thus highly recommend you upgrade the hard drive if your old MacBook is very slow on startup. See the best SSD upgrades here. How to check if your Mac is with an HDD or SSD? Just click Apple logo > About This Mac > Storage. Now let’s go back to the topic of this post. If your MacBook Pro takes more than 30 seconds to boot, or even minutes, beware that your Mac may have performance issues. We’ve found 6 possible causes and related fixes to boost MacBook startup times. Some fixes work better than others. We’ll show you all of them so you can determine why your Mac is slow on startup and figure out the the best tune-up solution. If you just updated your MacBook Pro to latest High Sierra (learn how if you haven’t done so), you probably have noticed that your Mac takes longer to fully load up and respond to general tasks. This is normal because some apps (especially Spotlight, and Photos) need to re-index or update its data. 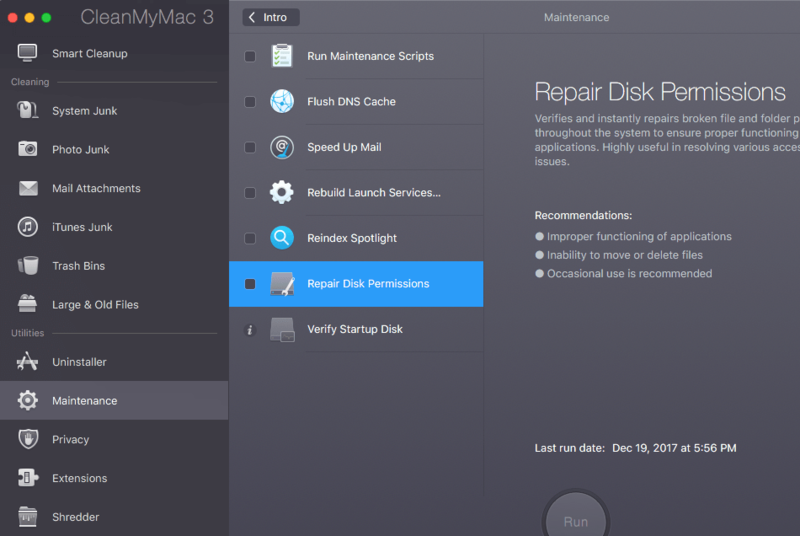 How to fix: keep your Mac on for 24-48 hours, and restart several times after that. If that still doesn’t help, you may need to enable TRIM (more below). Why this helps: apps like Spotlight and Photos usually need quite some time to re-index data. For example, Spotlight has to scan the internal hard drive and reindex all the files, likewise, Photos (formerly iPhoto) may update the while photos library as well. The process could take a significant amount of time to complete, and lots of system resources are required for the task. Once completed, your Mac’s overall performance would improve automatically. If your MacBook Pro (with SSD) still runs slowly on startup, consider enabling TRIM and the whole process takes only a minute or so. This thread has more. Like a car, it can be much slower to take off to 60 MPH if you’ve got loads of heavy items in the trunk. The same goes with a MacBook Pro. Your Mac will take longer to fully boot up if it has dozens of login items and launch agents (i.e. 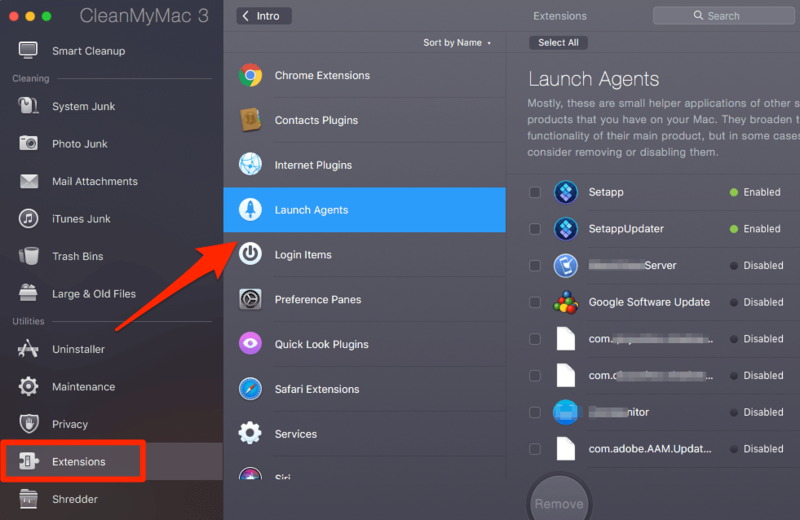 applications and services that automatically launch every time you press the start button on your Mac). How to fix: remove unnecessary Login Items. Click the Apple logo on the top left corner, then select System Preferences. Find Users & Groups and click on it. See the Login Items tab next to Password? Click it. Here you’ll see a list of apps that run when you turn on your Mac. Check the apps you don’t need, select the checkbox in the “Hide” column, then click the “-” icon. Nothing slows down a MacBook Pro more than having an almost full disk, even if your Mac is with a high-performance SSD. You’ll notice your Mac lags not only on startup, but during normal usage as well. How to fix: clean up your MacBook hard drive until it has at least 20% free space. The easiest way to get this done is to use a cleaning app such as CleanMyMac 3 (or Dr. Cleaner, as an alternative). It can save you tons of time locating those unused third-party programs, junk junks, and large old files that are safe for removal. Meanwhile, if your MacBook Pro is filled with copies of backups and pictures, chances are you’ve got many duplicates or similar files. Try Gemini 2 to find those duplicates and delete them. If you prefer to do this manually, start with checking those folders where you tend to save your pictures and movies. Then go to the “Applications” folder, sort apps based on last modified or used, remove those you no longer use. Don’t forget the web browsers — Safari, Chrome, and Firefox. Clear the web caches, history, and outdated extensions. Last but not least, transferring big files to your external hard drive would help lighten your Mac too. MacOS system files are usually saved on a hard disk — primarily “Macintosh HD”. Disk errors can occur due to poorly designed third-party applications/add-ons, and when those errors add up your Mac startup can slow down, even worse, unable to boot up. The preferences files on a Mac are those files that keep the parameters — i.e. rules that define how applications behave. If they are broken due to application crashes or hard drive corruption, your Mac will start up and run slowly. They are usually stored in the ~/Library/Preferences folder. To fix them, you’ll have to delete them first and create new up-to-date preference files. Learn more from this MacObserver article on how to get started. If your MacBook is not only slow to boot, but together with some wonky issue such as trackpad doesn’t work (or not responding), can’t connect to Wifi, status light or battery acted abnormally. Then something is probably wrong with your Mac’s system management controller (SMC) or non-volatile random-access memory (NVRAM). To reset SMC, see this official Apple guide. To reset NVRAM, refer to this article. Do you find the above diagnoses and solutions helpful? 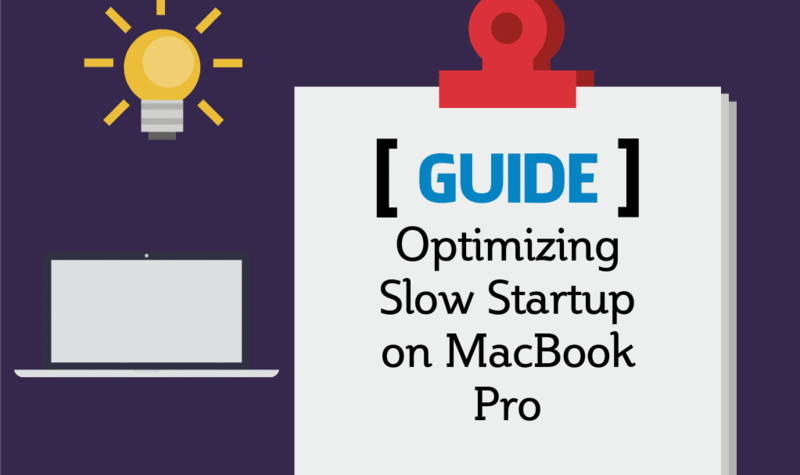 Did you manage to speed up the startup time on your MacBook Pro? If so, kindly let us know by leaving a comment below.